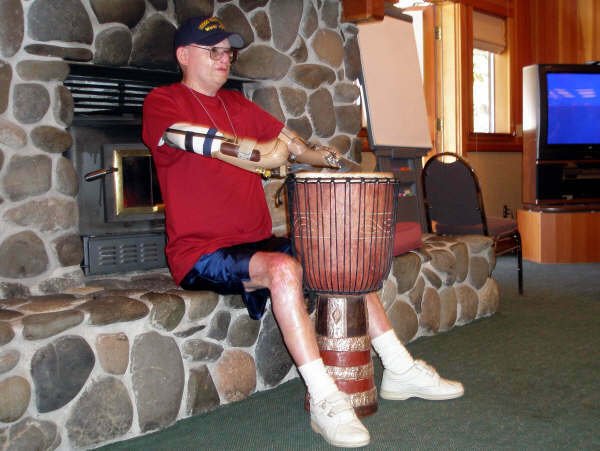 Drum Circle Facilitator and Educational Artist Sammy K (http://www.slamminsammyk.com) recently led a Drum Circle at the “Beyond Surviving” Adult Burn Survivor Recovery Retreat held by the Firefighters Burn Institute (http://www.ffburn.org). 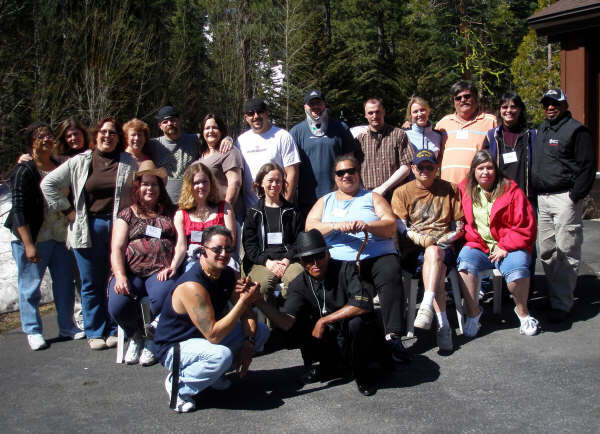 FFBI holds various recovery programs throughout the year that aid in the emotional and physical healing of these burn survivors and their families. This is a quality organization and everything about the retreat was first class and survivor centered. Few things on planet Earth have the ability to be as universal as music. Remo Belli has been on a personal mission to advance the health benefits of Drumming and the universal nature of Recreational Drumming. 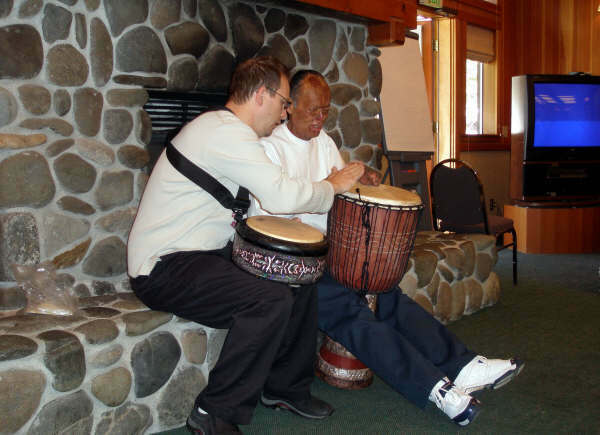 This retreat with an amazing group of people embodied Remo Belli’s vision of Drums and Recreational Drumming as a healthy experience for mind, body and soul. The Drum Circle was included in this retreat in the same manner as all of the other programs, proving that the metaphor of Drum Circles as health and wellness events is spreading to far reaching applications. As in any Drum Circle, the makeup of this group had a wide variety of personalities and abilities. The willingness of each person to participate in the circle despite some formidable physical challenges was a testament to the power of the human spirit and the Drum. Once the Drumming started, there was such a spirit of joy in the room that everyone involved took a few chances and stretched in some way. This event really demonstrated how Community Drumming and the human spirit can combine in a powerful way that supercedes the individual’s perceived limits, and allows people to have new and healing experiences.